I like to start by asking how people how they came to comics? When I was about 9 years old a friend introduced me to Archie comics, particularly the work of Dan DeCarlo and Harry Lucey. I began obsessively collecting old digests from various years of publication and would often reread the stories. Later in college I discovered the work of the early stable of Fantagraphics artists such as Los Bros Hernandez, Daniel Clowes and Chris Ware as well as Julie Doucet’s work for Drawn and Quarterly. I fell in love with the art but also began to see the potential for telling strange and wonderful stories through the medium of comics. I created a comic book based on a Nepali folktale for my BFA thesis project and continued to experiment within the medium, primarily through short stories featured in anthologies and collected in my own self published zines. How did you end up in Now #2? I was contacted by Eric Reynolds who had sent out an open call to cartoonists interested in contributing to a new anthology that he was developing for Fantagraphics. Being a fan of Mome and Zero Zero, I was excited to contribute to the project. Tell me about National Bird. 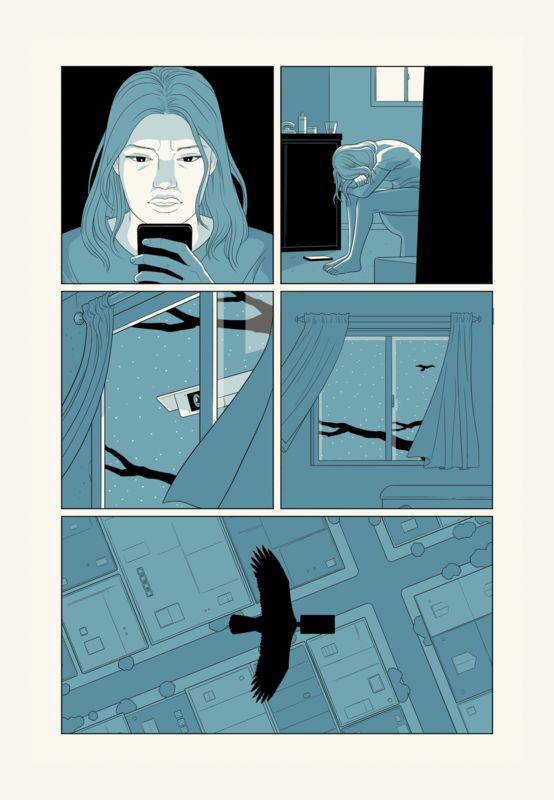 National Bird is a visual metaphor for the growing presence of surveillance in people’s lives, particularly those who are disenfranchised or living on the margins of society. Where did the image of the national bird come from? It’s such a vivid image. I haven’t been able to stop thinking about it since reading the story. You used similar imagery in “Budding” from the book 4Panel and then in a comic for Wired. I was experimenting with different visual representations of surveillance. Combining the cold precision of the camera with soft organic forms seemed to result in a compelling series of images. The idea of using an eagle’s body seemed a natural extension of the metaphor. What was the process for National Bird like? Did you have a page limit, was there back and forth with Eric Reynolds, what was the process like? Eric gave us complete freedom in terms of content, simply providing the size parameters for us to work within. I sent him the final comic and he was happy with it. 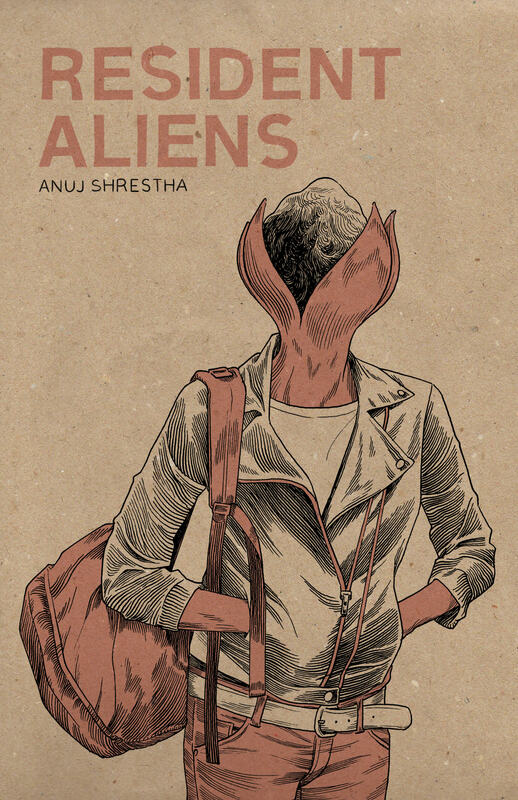 Your books Genus and Resident Aliens are collections of illustrations and wordless comics that are thematically linked. 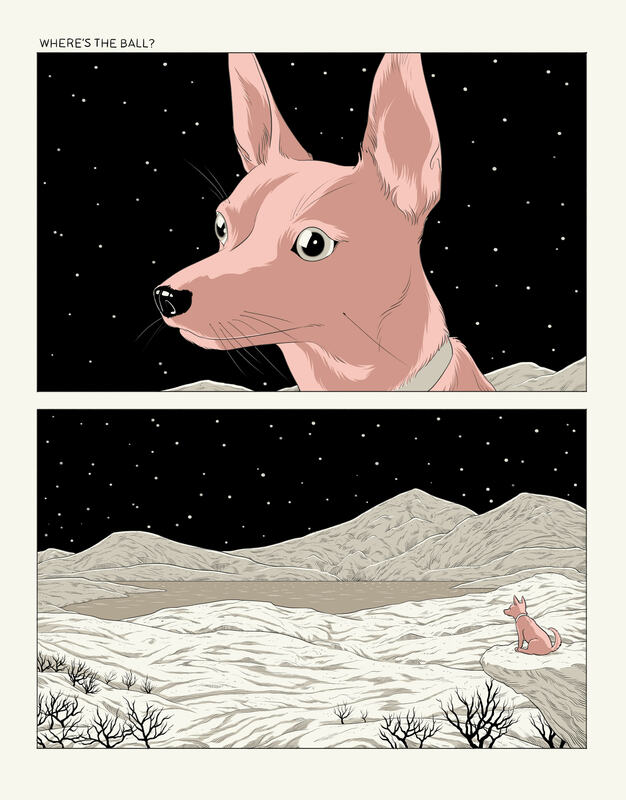 What is it about wordless comics that you find interesting? There is an immediacy to the way wordless comics are read and processed. Also an inherent ambiguity exists which can often help the narrative. Though I’m not entirely against using dialogue or text, at the moment I’m ultimately more comfortable simply using images. There is also the benefit of increased accessibility that wordless comics provide as they transcend language barriers. I wondered if you could talk a little about the Syrian Refugee Project. Back in 2015 the International Coalition of Sites of Conscience contacted me in regards to a project that involved illustrating the oral histories of recent Syrian refugees that had fled the country and settled into various countries such as Lebanon, Iran, and parts of Europe. They had initially asked for a few comic strips and a series of illustrations that highlighted the experiences of these refugees. I had been working on a series of personal comic strips at the time and used a similar cartooning technique and color palette for these short narratives. They followed up some months later with more interviews and I ended up doing nine strips in total. It was a compelling exercise trying to extract specific moments from their dramatic and often heartbreaking stories. You do a lot of illustration work. Is that most of what you do? Are you interested in making more comics? I typically work on a mix of editorial illustration work along with storyboarding for TV commercials and (occasionally) film projects. I try to use most of the time outside of commercial work to focus on my independent comics and illustration projects. I am definitely interested in making more comics, as it is usually the most satisfying on a personal and artistic level. I am creating a new zine (most likely a mixture of short comics and some illustrations) for upcoming festivals this year. I’m also developing illustrations for another series of risograph prints. I have seen some of Anuj’s published work and he has always impressed me as someone who has that innate ability to present things through a most compelling story. The Syrian refugee project is just one such example. Great work Anuj.